Alloy 20 Round Bars & Rods Manufacturer, Alloy 20 Round Rods Supplier & Exporter in India. Manufacturer & Exporter of Alloy 20 Round Bars & Rods, Alloy UNS N08020 Hex Bars, Alloy 20 Square Bars & Alloy 20 Round Rods Supplier in India. Our organization has established its identity as one of the prominent manufacturers and exporters of high quality Alloy 20 Round Bar. These precisely designed bars are manufactured from quality tested raw materials, under the supervision of qualified professionals. Alloy 20 Round Bars are widely used in diverse applications in different industrial as well as domestic purposes. These products are administered various tests including hydraulic test to ensure leakage free performance. This Alloy 20 round bars & rods are round in shape and has a high tensile property. These alloys are easily available in the market at convenient price. 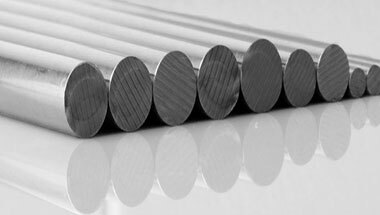 Our Alloy 20 Round bars & rods are used extensively in various industrial applications industries ranging from basic industries such as Sugar, Paper, Textile, Dairy, and Engineering to more complexes such as Oil & Gas, Petrochemical, Chemical & Fertilizers, Power Generation and Nuclear Industries etc. Alloy 20 Rods, Alloy 20 Werkstoff Nr 2.4660 Round Bars, Alloy 20 Round Rods, Alloy 20 Hexagonal Bars, Alloy 20 Bright Bars Supplier & Alloy 20 Bars Exporter in India. Ethiopa, Mozambique, Saudi Arabia, Azerbaijan, New Zealand, Thailand (Bangkok), London, Kazakhstan, Argentina, Canada, Israel, Nigeria, Chine, Jordan, Houston, South Africa, Russia, Democratic Republic of the Congo, Colombia, UK, Australia, Vietnam, Sri Lanka, Uganda, Cameroon, Tunisia, Egypt, Turkey, UAE, Iraq, Morocco, Germany, Ghana, Dubai, Italy, Iran, Peru, Trinidad and Tobago, Angola, Malaysia, Kuwait, Brazil, Algeria, United States, Venezuela, Africa, Mexico, Indonesia, Sudan, Bahrain. Bamako, Sharm el-Sheikh, Abu Dhabi, Cairo, Aqaba, Benin, New York, Nairobi, Addis Ababa, Brazzaville, Rabat, Harare, Accra, Kano, Muscat, Subra al-Haymah, Alexandria, Bethlehem, Lubumbashi, Kaduna, Casablanca, Singapore, Abidjan, Freetown, Douala, Manama, Fez, Dammam, Tehran, Ouagadougou, Lagos, Tripoli, Dar es Salaam, Algiers, Ibadan, Port Harcourt, Cape Town, Durban, Doha, Mbuji-Mayi, Luanda, Jerusalem, Antananarivo, Port Elizabeth, Dakar, Giza, Kolwezi, Cairo, Istanbul, Amman, Zaria, Yaoundé, Mecca, Kampala, Riyadh, Conakry, Lusaka, Kinshasa, Maiduguri, Byblos, Bulawayo, Soweto, Omdurman, Khartoum, Johannesburg, Beirut, Mogadishu, Colombo, Tel Aviv, Maputo, Pretoria, Data from the UN, Hong Kong, Dubai, Jeddah.